Product prices and availability are accurate as of 2019-04-12 15:12:46 EDT and are subject to change. Any price and availability information displayed on http://www.amazon.com/ at the time of purchase will apply to the purchase of this product. 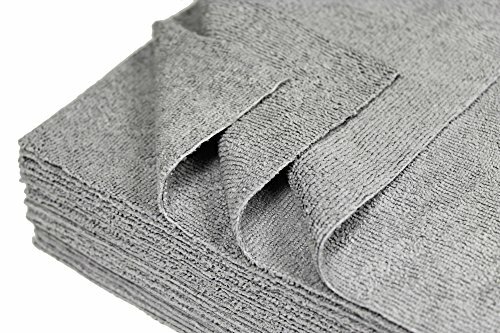 Standard weight and practical size 12" X 12" Udderly Clean silver microfiber towels - These are primarily used in the dairy industry. Now with ultrasonic cut meaning no surged edges on the towels, resulting in smoother and more efficient cleaning and drying. On traditional towels cut by hand there is variability in size from one towel to the next. Because the ultrasonic cut is automated, the towels maintain their shape with perfect square corners. Our antimicrobial silver microfiber towels are manufactured with NOVARON, a silver-based antimicrobial agent, embedded in the fibers of the towel. This feature allows the towel to retain its antimicrobial properties through hundreds of washes, outlasting any disposables and treated cloths. Safe and extremely effective, NOVARON is EPA and FDA registered as an antimicrobial agent. 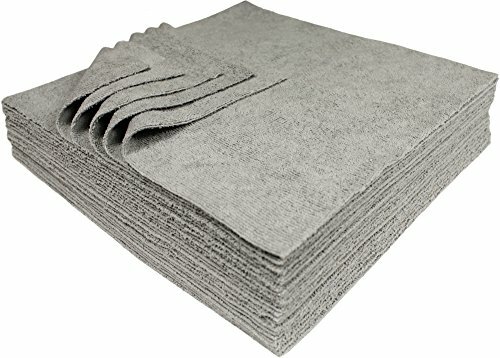 These ultra soft microfiber towels will lift and trap dirt and moisture, leaving a clean, dry and polished surface. They are safe to use on all surfaces around the home, car, RV, motorcycle, aircraft, or boat. The towels are environmentally conscious in that they require little to no water, reducing waste. Use them dry, and they will work like magic without scratching, linting, or streaking. Use them wet and they will absorb seven to eight times their own weight in water. Microfiber works by attracting dust and other contaminants like a magnet, and trapping them within its very fine microscopic filaments. The fibers are so tiny they are able to remove 99% of bacteria effortlessly. 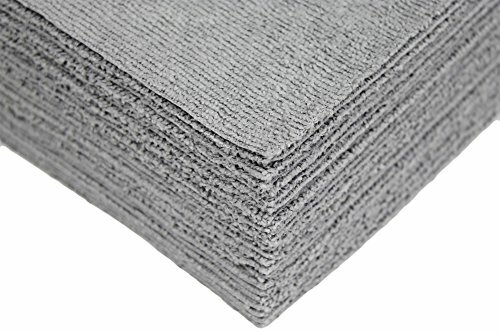 Due to their superior quality, these microfiber towels can be washed and reused hundreds of times. Care instructions: Machine wash. Tumble dry low, and do not iron. Do not use fabric softener as this would clog the microfibers and reduce performance. Do not use chlorine bleach. Wash with other non linting materials to maintain proper dirt-gripping properties. 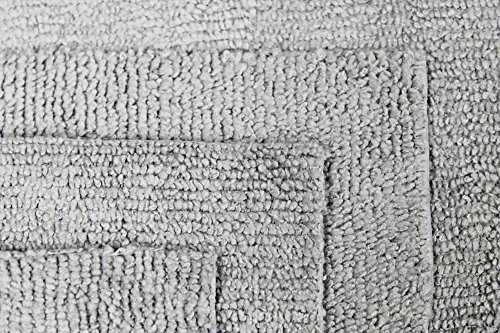 This package contains 25 silver colored ultrasonic cut Eurow Microfiber antimicrobial towels.